Get the storage container your residential or commercial property needs with rentals and sales that are available to the greater Puget Sound areas, including (but not limited to) Bellingham, Ferndale, Whatcom County, Skagit County, Peninsula Counties, San Juan Island, and Island County. 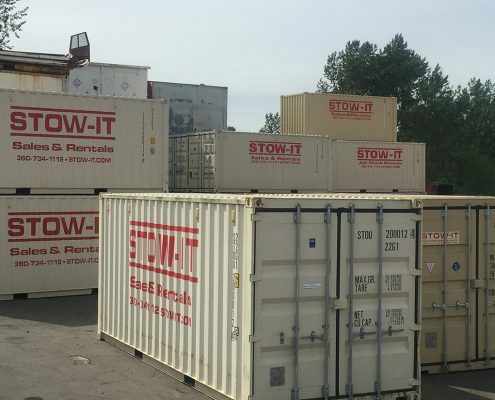 Your storage container can be delivered, picked up, and relocated using specialized trucks and trailers. 8′, 10′, 20′, and 40′ containers are available in a high cube height of 9’6″. 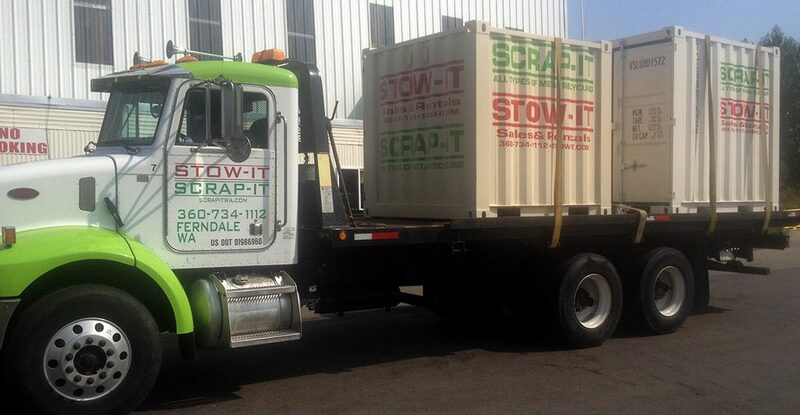 Scrap-It delivers and picks up storage containers with a flatbed tilt truck. We have the ability to move loaded 20′ container so long as they are not overloaded with heavy items. Plywood can be provided to prevent any damage to soft driveways. Order your Storage Container today!